Forget What Did: Great Rhyming Journeys of the World. Great Rhyming Journeys of the World. Can you a) identify them? (for answers, look at the file name, or simply click to make big enough to read) ; and b) suggest any more? Be warned - I may nick the best ones, and put them on the radio. I have actually done of one of these, by the way. The most boring one. I tried to come up with some ideas but only succeeded in discovering there's a place called Townsville, and another called Rollingstone on the West coast of Australia. Not very useful but I thought I might as well share that strangeness with you. I actually wanted to leave you a comment telling you that I absolutely love Cabin Pressure and think you're a great comedy writer. I also love listening to you on the Now Show (your skit about the walrus still makes me giggle!). I know this probably sounds a bit creepy or whatever, but I really just wanted to tell you how much I enjoy your series. I know what this guy's up to. He wants us to feed him a rhyming place for Vizhny Volochek. There's Bonn and Yonnes and Minsk and Pinsk. (Sadly, the u in Lublin sounds like the vowel in boot, it's pronounced Loobleen). 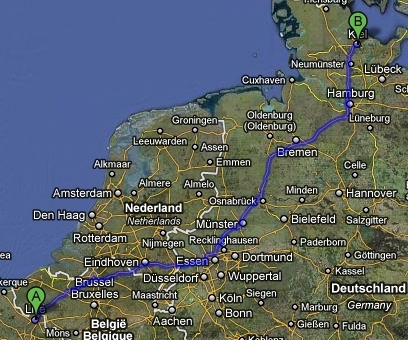 There's also Lille and Kiel. I have just stumbled across this blog while searching for more Cabin Pressure fixes (I keep telling myself I can quit anytime). To reiterate previous comments... I also love it (and will stop there to avoid adding to the overall impression of stalking). Moving onto place names, have you considered the plethora of truly weird names in the UK alone? These seem to be particularly focused in Norfolk and Somerset for some reason. After all, does it have to rhyme when you have a name like Chipping Sodbury or Seething (which, incidentally does have a little airfield) . And don't get me started on the pronunciations... There really is a rhyming journey between Wymondham (Norfolk) and Wyndham (Wales) ... I don't think it counts as great though. 'Los Angeles to The Antilles' has quite a nice ring to it. From Perth to anywhere else on Earth. Now, I'm off to rhyme more Scottish places. I want a companion for Hawick because Hawick is the best name ever. If you say New York in an exaggerated NYC accent you can rhyme it with Hawick. Mission Accomplished. Now for a gin and bitter lemon. There's Savannah and Havana, or Rome and Nome. Although Nome is admittedly a bit obscure. Some of these are askew even in US pronunciation. Little Hallingbury and Great Hallingbury? Durham and Mapledurham? Oklahoma City, Oklahoma and Norman, Oklahoma? and I spotted it on a Broads holiday years ago. 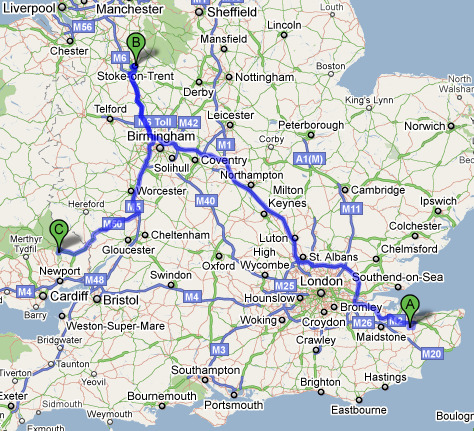 There's Hull to Mull, Chudleigh to Dudley, Hertford to Dartford, Mere to Beer, Bangkok to Woodstock. 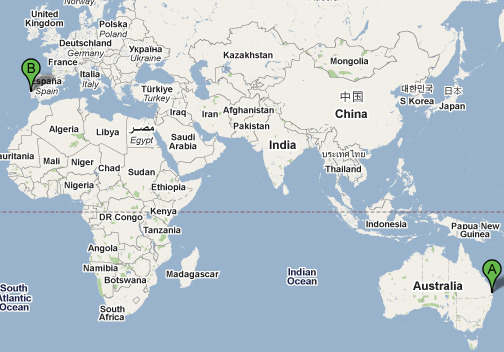 I really like Lisbon to Brisbane. 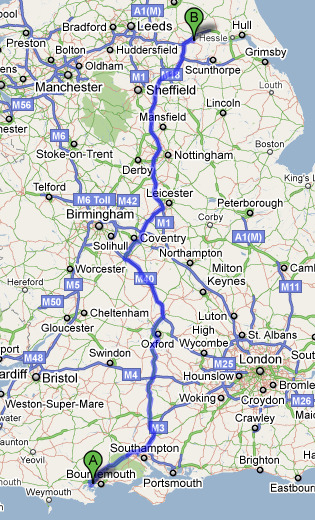 Obviously things like Chester to Leicester, Guildford to Ilford, slightly further afield, York to Cork. Cheddar to Jeddah might be a bit obscure. Euston to Houston is likely pushing things a bit, likewise Dachau to Krakow and, though I've long amused myself by singing "I was only twenty-four hours from Tulse Hill," 'Tulse Hill to Tulsa' doesn't quite work (the reverse is a bit better). Finally, there's a joke waiting to be made somewhere by someone about a predominantly Muslim area of the Midlands being nicknamed Abu Derby. But not by me right now. Douglas would have Tblisi to Brindisi and Palermo to Salerno. Martin might say Victoria to Pretoria. I think Caroline could pull off Delhi to Pwllheli. And Arthur would have Birmingham to Nottingham, (Immingham, Gillingham), Orpington to Darlington, and all those -chesters and -casters. And York to New York. Caroline: It's in Wales, dear boy. These are fantastic! I'm very impressed, and almost embarrassed about how many of them I'm planning to nick. Almost. Oh, and Kinshasa to Mombasa. Preferably by air. Saigon to London. In a cargo container full of shirts. Sudan and yukatan (ian durys reason to be cheerful). 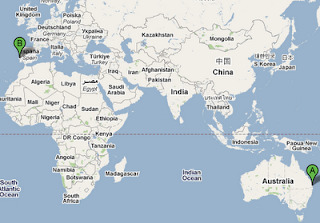 Can you tell at what point I just started having fun with Google Map? @Pique: Titisee is pronounced Teeteeseh, so that won't work. haha, all these are awesome!! Can't think of any more but just to comment on Piques calculator thing? My EX-boyfriend once wrote an entire apology letter on a scientific calculator in Maths. I wasn't impressed at the time, but looking back, it was quite a feat! I was going to say Skelmersdale and Helmsdale, but theres an annoying extra syllable in the first. I am currently sitting in one, wishing I was in the other. So which one have you done? I live in one of them. Can YOU guess which one??? Pembury to Membury. (I have done this one). Rhyl to Pill. (I have not done this one). This has really captured my attention, this has. 5. 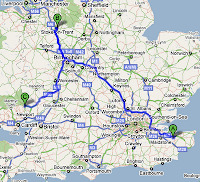 Edinburgh to Middlesbrough, Peterbrough and Sedbergh. 12. Limerick to Gatwick diverted via Prestwick. Paris to (the isle of) Harris. 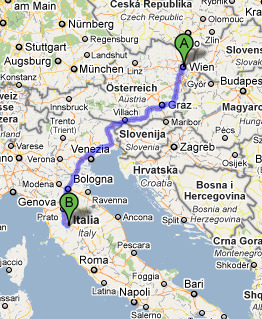 There's Anaheim, California to Mannheim, Germany. 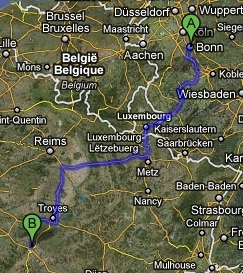 And Bitburg to Pittsburgh! Hi webmaster, commenters and everybody else !!! The blog was absolutely fantastic! Lots of great information and inspiration. The Republic of Gambia to The Republic of Zambia? Brounton to Taunton, first stopping off at Saunton. Don't try rhyming in Milton Keynes. We have three estates called "Loughton" (LOUW tun), "Woughton" (WOOF tun) and "Broughton" (BRAW ton). Eek! Whiling away a cold weekend! Ovingham to Bellingham in Northumberland both pronounced Ovingjam and Bellingjam,. So Sandringham to Buckingham and pronounce them how you like. Coming soon: the Rubik's Tesseract. Just wait till he sees the escalator at Angel. Still better than the film, though.